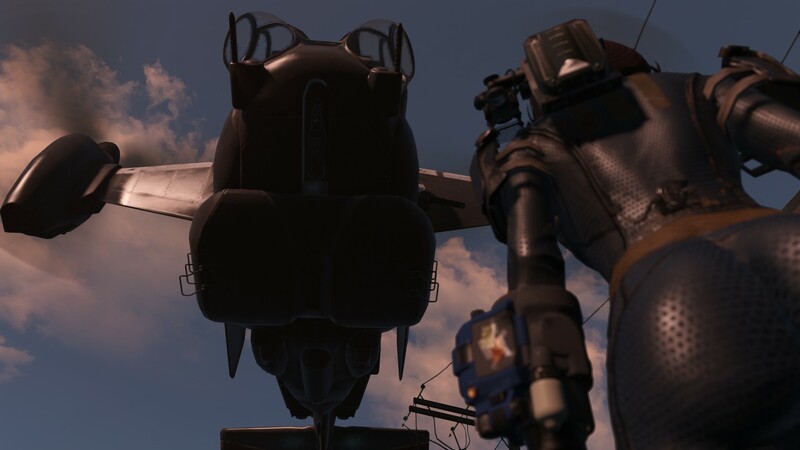 Update 2.20 includes the Vertibird Standard dialogues for the pilot and a new Custom Target Alpha. 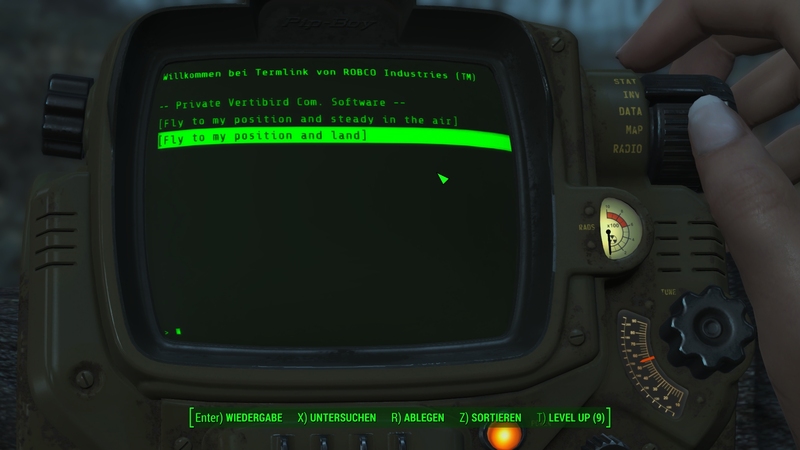 In order for the Vertibird Standard dialogues to become active, stow your Vertibird in the workshop and put it back into the world. If you Update from 1.5, 2.0, 2.01. It's important to park your Vertibird in a settlement before you install Update 2.10 or higher. 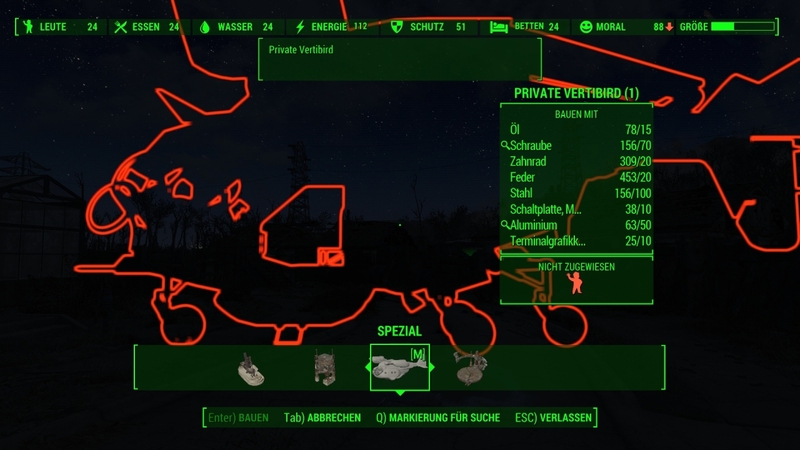 If your Vertibird is not in a settlement right now, reload the old version and get parked. 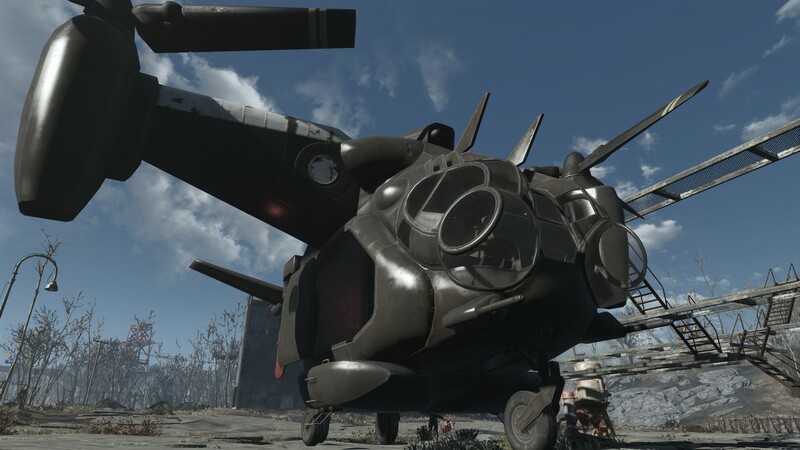 If 2.10 or higher is loaded, stow the vertibird in the workshop and put it back into the world.